Take all the three flours and salt in a large mixing bowl. Add water little by little and mix well until it rolls into a firm dough. Set aside for 15 mins. Now apply oil in your palms and pinch lemon sized balls of dough and roll them into balls. Keep them aside. Heat oil in a kadai. 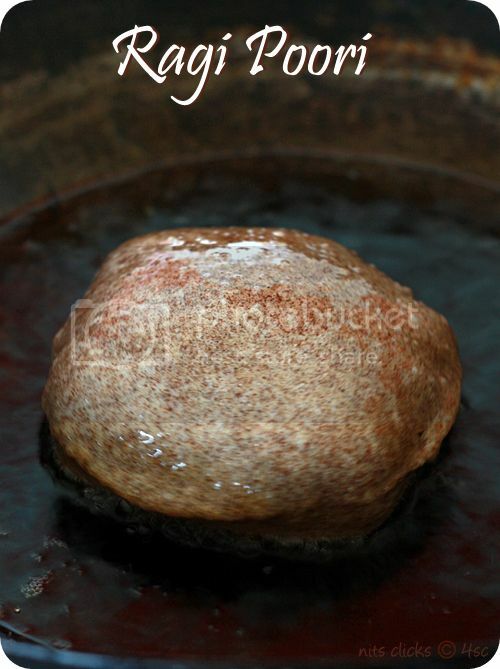 Press each ball using a poori press or roll them with the stick into a thin circle and transfer it slowly to the kadai and fry on both sides until well puffed and roast on both the sides. Collect it on a tissue to remove excess oil. 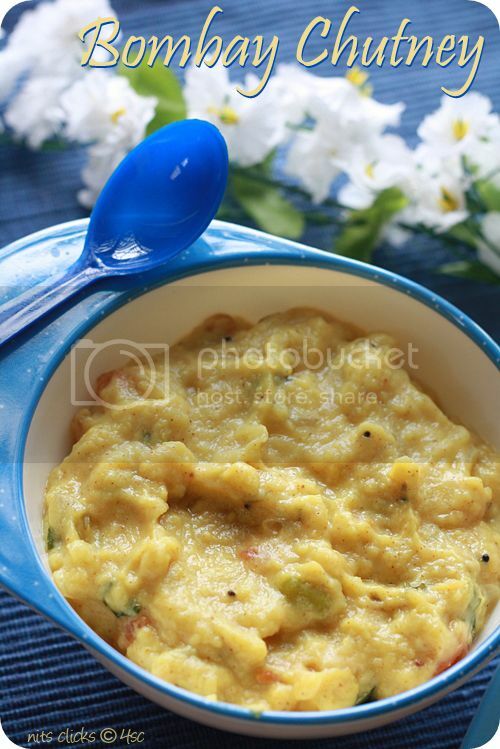 Serve the healthy poori with Bombay Chutney. 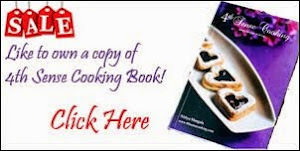 You can avoid using maida while making the dough. 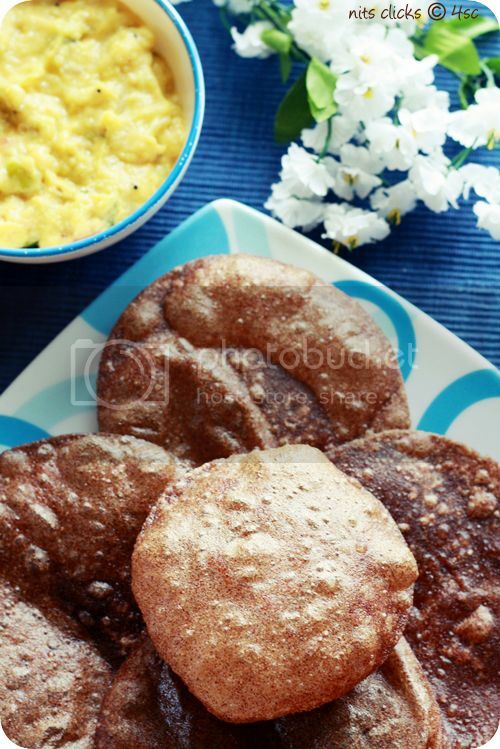 Ragi flour and wheat flour would make the pooris healthier. I tried both the versions and liked them both equally. I would love those too. Yummy! 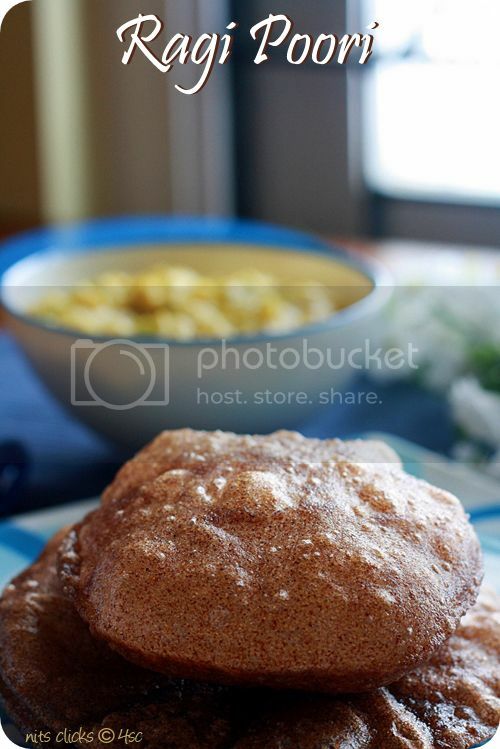 Poori looks mouth watering! 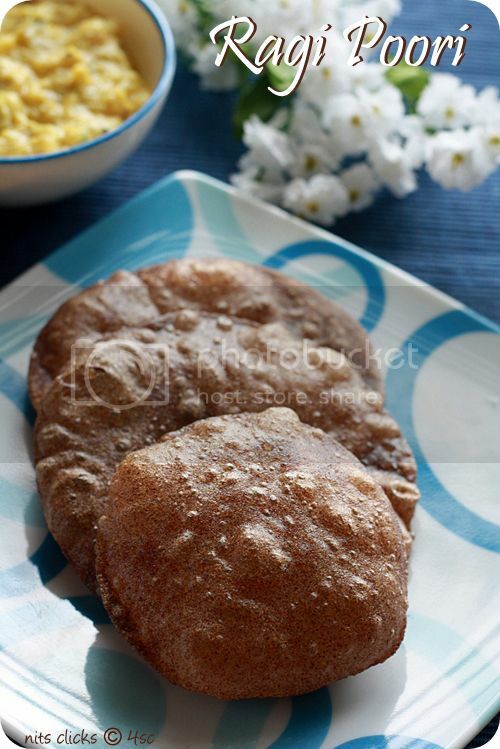 Nice idea to use Ragi..
My mom too makes this & it tastes great! Did you know you can create short urls with AdFly and earn cash from every click on your short urls.